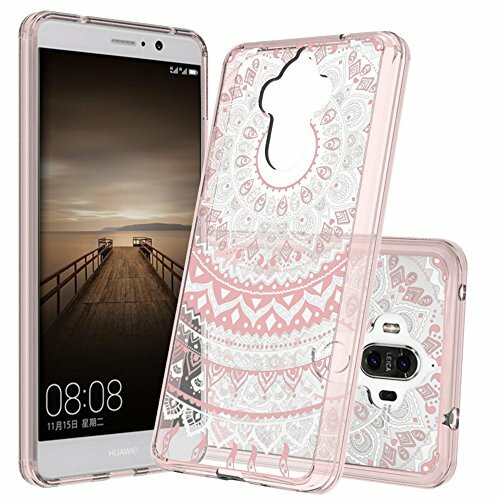 Are looking for protection for your Mate 9 which also keeps your valuable’s look stylish then choose best Huawei Mate 9 case from the choices given in the article. The brand new Huawei Mate 9 is a highly impressive smartphone with lots of features. It is a perfect replacement for the Galaxy Note 7. There is no denying that Huawei Mate 9 is a huge phone with 5.9 – inch screen. So we can certainly say that this smartphone is a handful. There has been a study that shows that the bigger the phone is, the more likely you are to drop it. Purchasing a case of this kind of smartphone is the only solution for it. However, you want to ensure that you get a case which is durable and provide complete protection to your Huawei Mate 9, as well as it doesn’t interfere with the camera or anything else while operating the Mate 9 smartphone. With that in mind, below are some of the significant Huawei Mate 9 cases and covers are available now. We have rounded up some of the best Huawei Mate 9 cases from the well-known brand that we use and trust. So let’s continue with details of cases. One of the most trusted and of course the well-known brand in the industry of mobile accessories. 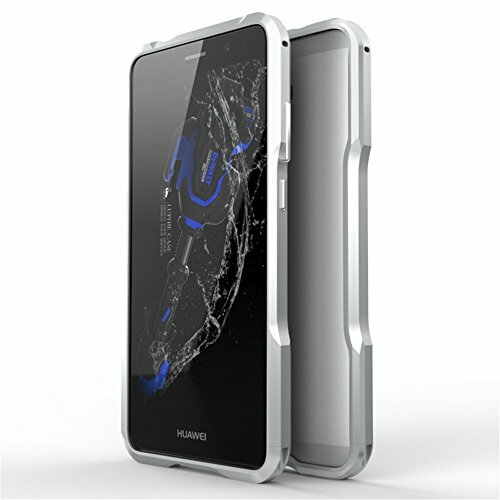 When it comes to dropping protection, this famous brand Spigen brings its Armor line of cases for the Huawei Mate 9. 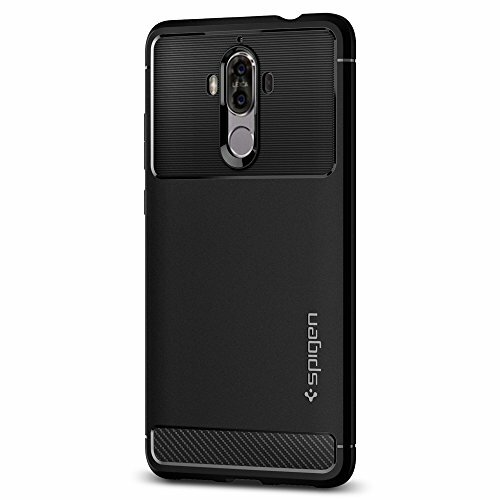 This Huawei Mate 9 case and cover from Spigen is an ideal case that equipped with a Carbon Fiber look. This soft case made from durable TPU. The interior of this case has a beautiful spider-web design. It also has the air cushion shock absorption technology which allows the case to keep slender, but give rugged drop protection to your Mate 9. As usual with all Spigen cases, the buttons are incredibly tactile, and it feels as if you were pressing the button itself. Equipped with a Carbon Fiber look. The interior of this case has a beautiful spider-web design. The air cushion shock absorption technology keeps case slender. Gives rugged drop protection to Mate 9. The buttons are incredibly tactile. Featured with Air Cushion technology for better shock absorption. Doesn’t fit well with a screen protector. The Ringke is one of the most popular brands making covers and cases for almost every smartphone and other gadgets. This Fusion bumper series of Ringke is beautifully transparent that features and polycarbonate body and the TPU bumper allows you to show off the design and the look of the Mate 9. This PC and TPU made the case offers MIL-STD 810G-5166 Certified Military Grade Drop Protection. The crystal clear protection along with advanced two times much tough coating improves the look of Huawei Mate 9. This protective case for Huawei Mate 9 is slim and lightweight that barely adds any bulk to your smartphone. It manages to offer complete protection from accidental drops and bumps. This phone case for Huawei Mate 9 also comes in four more colors, Clear, Rose Gold Crystal, Ink Black and Smoke Black. It is PC, and TPU made the case. It offers MIL-STD 810G-5166 Certified Military Grade Drop Protection. The crystal clear protection along with the advanced 2X tough coating. It is the slim and lightweight case that barely adds bulk. Total protection from accidental drops and bumps. Available in Clear, Rose Gold Crystal, Ink Black, and Smoke Black. Crystal clear that maintains the original look of your phone. Comes with engineered dust caps. No interference with a fingerprint scanner and camera flash. Gummy sides that hold the phone very well. 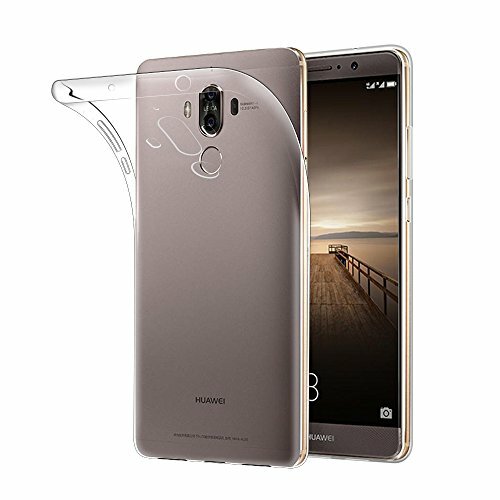 Qoosea offers a clear slim case for Huawei Mate 9. It provides excellent transparency so that the original look of your Mate 9 will always remain intact. If you want a very sleekest and snug fit case for your Mate 9, then this is perfectly made for you. The Huawei Mate 9 full body protection case made out of TPU silicon. It has 0.6mm thickness, so it is very light and doesn’t include bulk to your smartphone. The cut out for the charger, camera, and buttons are perfect so one can use them with ease without removing this case. It equipped with a soft and lightweight design that is easy to grip and offers great touch feeling. This best Huawei Mate 9 case protects the phone from scratches, dirt, and bumps. The brand also offers six months of hassle free warranty. TPU silicon made Huawei Mate 9 case. Contains 0.6mm thickness that includes no bulk to the phone. The cut out for charger, camera, and controllable buttons are perfect. Featured with the soft and lightweight design. Offers excellent grip and touch feeling as well. Protection against scratches, dirt, and bumps. Hassle free warranty of six months. Not made for heavy impact. Protective case Huawei Mate 9 by Perstar is the multi-functioning and heavy duty cases. It provides body cover completely with heavy duty rugged armor. It protects your smartphone’s inner and outer layer to save your gadget from accidental drops, shocks, and falls. This case made from Aluminum metal that is water resistance and offers military-grade protection. The tempered glass protects the fragile screen along with anti-fouling and anti-glare function. 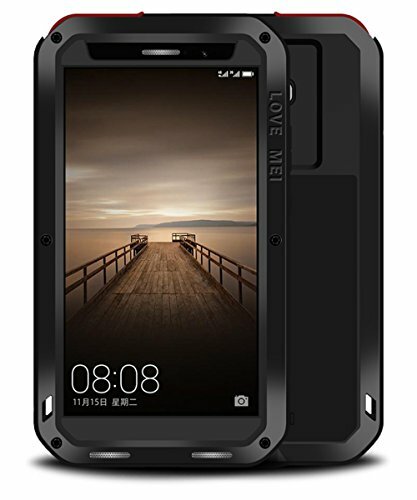 The silica gel seal packing and gasket, makes this case water resistant, although it doesn’t support depth diving like swimming or being soaked in the water. It is waterproof and naturally protects your phone from the rain or any sudden water damage. However, it doesn’t support depth diving like swimming. It is available in six different colors. Made from Aluminum metal for extreme protection. It offers military-grade protection for your Huawei Mate 9. The silica gel seal packing and gasket makes it water resistant. Protects the phone from rain but not useful during swimming. The brand offers six different color choices. No signal affect the phone with this case. Comes with glass screen protector. With its screen protector works perfectly. Need a tool to open it. Add bulk to your phone. 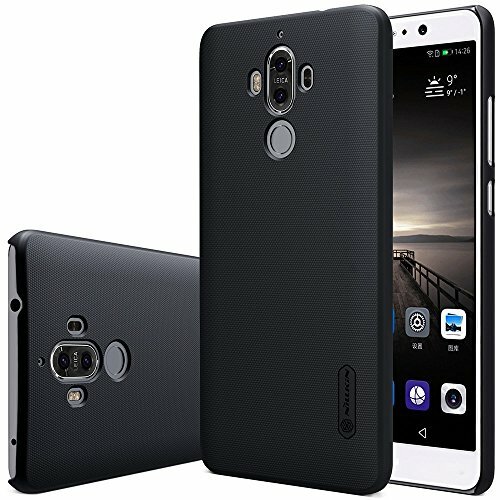 LWGON 3D bumper case specially made for Huawei Mate 9. This premium quality slim case for Huawei Mate 9 comes with sleek. It made of real aviation aluminum material. So basically this case offers extreme protection from any high impact. It is slim profile case that doesn’t add much bulk to the phone. It is anti-shock and entirely designs with an opening on both the sides for the better signal reception that minimizing the effect of the metal frame’s influence on the cellular signal. The raised lips around the edge are 0.2mm thicker that prevent the screen in front, and rear metal surface helps accumulate scratches. You can easily install this Huawei Mate 9 phone case with the help of screws and a screwdriver. The aluminum material used is high quality which is very hard but lightweight too. It doesn’t add any bulk to your phone. Perfectly designed with an opening on both sides for the accurate signal reception. Raised lips are 0.2mm thicker to keep the screen protected. Screws and a screwdriver used to install it. The 3D curved surface design gives a great look. The adopts CNC process mechanism make it ultra-lightweight. There is multiple choice in colors of cases from that you can choose. The Nilkin Frosted Shield made especially for Huawei Mate 9. The Huawei Mate 9 slim case made of high-quality polycarbonate material to protect your smartphone all around. This case even offers great matte look to your smartphone along with the protection. It is also the very great case for those who find the metal sides of the Huawei Mate 9 very slippery, as this case is equipped with anti-slip functionality. The surface even wear-resistance, anti-skidding, dust-proof and anti-fingerprint. It uses the latest dustless matte UV painting technology along with a comfortable sense of touch and elegant appearance. This case comes with open mold for the phone with the precise function holes. The PC made case equipped with soft touch matte finish. The silent design of this case makes it wear-resistance, anti-skidding, dust-proof and anti-fingerprint. Utilizes latest dustless matte UV painting technology. It gives a comfortable sense of touch and elegant appearance. A slight raised up lip that keeps the display safe when your phone is placed face down. Doesn’t offer much protection because the top and bottom sections of this case are being open up front and the buttons are also uncovered. Feitenn offers good looking wallet case for Mate 9 smartphone. This Huawei Mate 9 Smart case has a smart and slim design, and hence it doesn’t include any bulk to your Mate 9. This case made of premium quality leather PU that covers your phone all around and gives complete protection. This snap-on cradle of this case constructed with a highly soft and clear color matched PC. Both materials can offer excellent protection from the scratch and drops. The cuts, in this case, are so precise that you will get easy access to all the aspects of your smartphone. This case has a transparent hard plastic screen on the front which can help you see the messages, caller ID, missed calls, battery status and more. For adjustable view watching this case also adds the feature of the kickstand. Precisely made for Mate 9. The outer layer constructed with PU and the snap-on cradle built from PC. The material protects against scratches and drops. The transparent hard plastic screen lets you check the messages, caller ID, missed calls, battery status and more. The kickstand offers a hands-free view. Magnetic closure keeps everything secure inside. Not featured with sleep and wake mechanism. Xoomz is another wallet case that has superior quality and sleek design case for Huawei Mate 9 smartphone. The factor that makes this folio flip case different from others on this list is that it is a handcrafted case from the real leather. 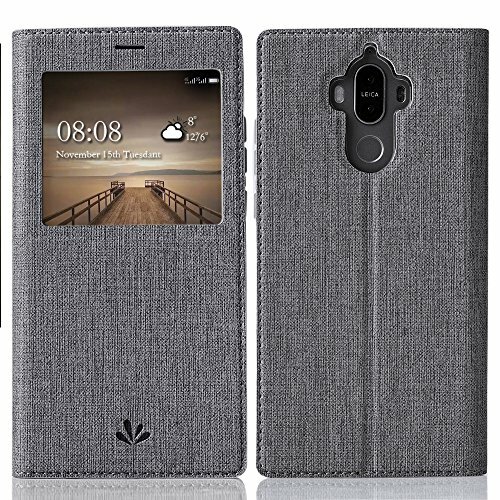 This wallet case is made precisely for Huawei Mate 9. 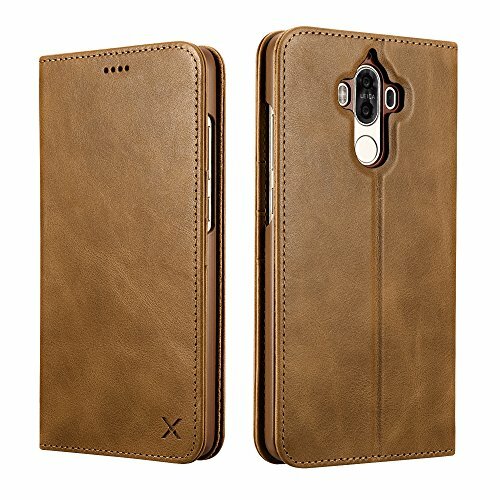 This best Huawei Mate 9 case made from high-quality real leather with beautiful stitching that makes it look luxurious. This case offers three slots for card and sleeve for money. The hidden magnets, in this case, is a piece of cake that keeps everything safe and secure inside. The build in stand function lets you enjoy the hands-free viewing. This case is available in two different colors that are Black and Red. Made precisely for Huawei Mate 9. Made of high-quality real leather with hand stitching. Hidden magnets keep the phone close and keep everything safe inside. Built-in kickstand function provides hands-free viewing. Hold essential cards up to 3 and money too, so no need for a wallet. Vinve brand offers this protective case for Huawei Mate 9. 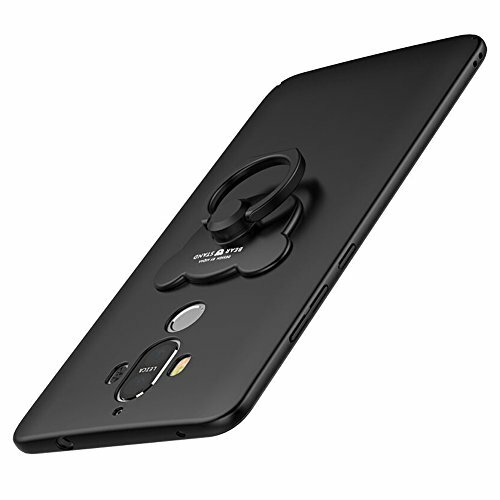 If you are in search of genuine and best premium quality made case, with a back ring that even works as a kickstand, then you should take a look at this case. This PC raw material made case is the premium quality case to provide protection to your latest Huawei device. This material offers toughness to the case, so not easy to be broken off and out-of-shape. This case provides complete protection from the fall, bumps, scratches and daily uses. It is even resistant to tear and dust accumulation. The slim case for Huawei Mate 9 also equipped with rear ring kickstand that rotates up to 360-degrees. Made out of high-quality environmental protection PC raw material. Built to provide toughness to the phone. It is not easy to be broken off and out-of-shape. Protection from the fall, bumps, scratches and daily uses. Resistant to tear and dust accumulation. The back ring kickstand rotates up to 360-degrees. Fits perfectly and seamless on your phone. Precise cuts let you access all the ports and functions of the phone. Not made for extreme protection. If you are looking for the case that offers transparency along with the design of the back, then this case is for you. Anoke provides an excellent case that design with colorful mandala flower dream catcher. Even with this case, you will have three different color choices. 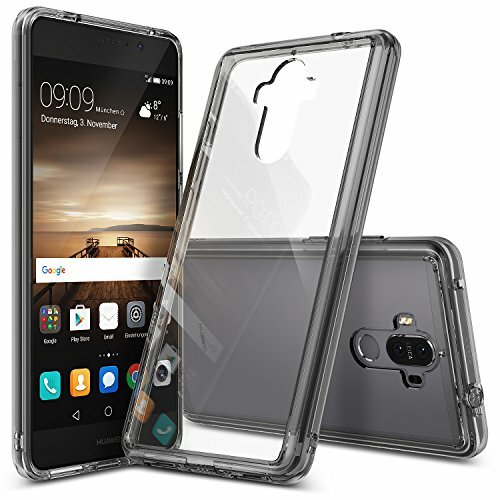 This protective case for Huawei Mate 9 is a combination of a soft rubber silicone TPU and hard crystal clear acrylic material back. This case gives excellent protection against bumps and scratches. The high transparency back of this case makes you enjoy the original beauty of your phone with a unique design. The case offers precise cutouts that let you access all the functionality of your phone. Made of soft rubber silicon TPU and hard crystal clear acrylic material back. The high transparency back of with unique design gives an excellent look. Precise cutouts provide access to all the functionality of the phone. The brand offers 30 days replacement or refund warranty. Even offers HD screen protector for free. Not made for high impact protection. So we are sure that you will surely like one of these 7 Huawei Mate 9 cases. Which case you purchased from the above list leave your feedback here.